Passing through Gapton Hall Industrial Estate this afternoon, I took the opportunity to look in at Swift's Copyfax yard in Shuttleworth Close. I found both withdrawn Darts (1999 built S511XCR and 1994 built L907JRN) resident in the yard. (see above) Also present was Dennis Javelin/Neoplan SJI8127 - No 136 in the fleet. Being market day, the town again attracted a large number of vehicles to Beach Coach Station with 30 being recorded at 14.40 this afternoon. 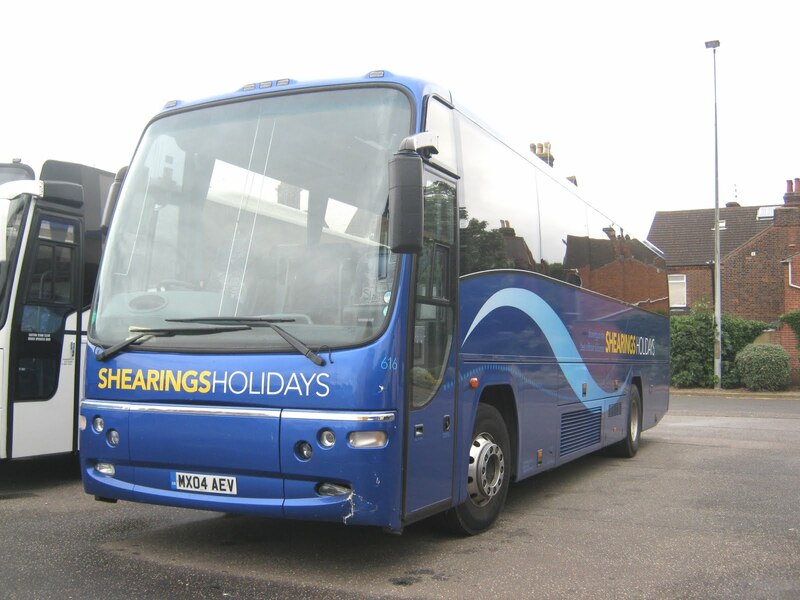 Shearings were represented by two vehices - Volvo B12's 804 MX06AKU and 508 MX03AAZ (below). Another Nottingham City Coach made an appearance - it was another Volvo B12 in the form of YN58CGG. She is pictured when seen yesterday at Beach Coach Station. Another visitor, closer to home, was that of Lowestoft's Belle Coaches' BX08VBK. She is a Toyota Coaster with Caetano Optimo bodywork and has fleet number 44. After the introduction of Swift's new 500 seafront service linking the holiday parks with the town centre and seafront, another Norfolk independent has introduced a Great Yarmouth seafront service. Acle-based Our Bus began its Monday to Friday service yesterday and was seen this morning using its Mercedes Vario/Plaxton Beaver SF54OUY on the route. 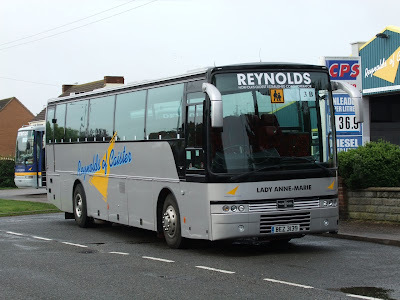 The vehicle is seen here early last week at Reynolds' Ormesby Road Garage in Caister awaiting a school run..
Information and picture supplied by Grahame Bessey. 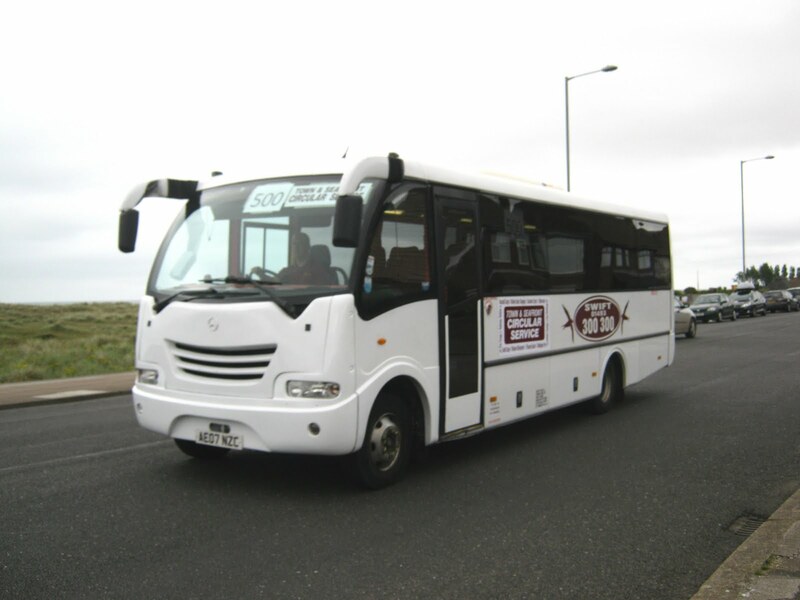 The new hourly bus service, linking some of Great Yarmouth's holiday parks with the seafront and town centre attractions, commenced yesterday. 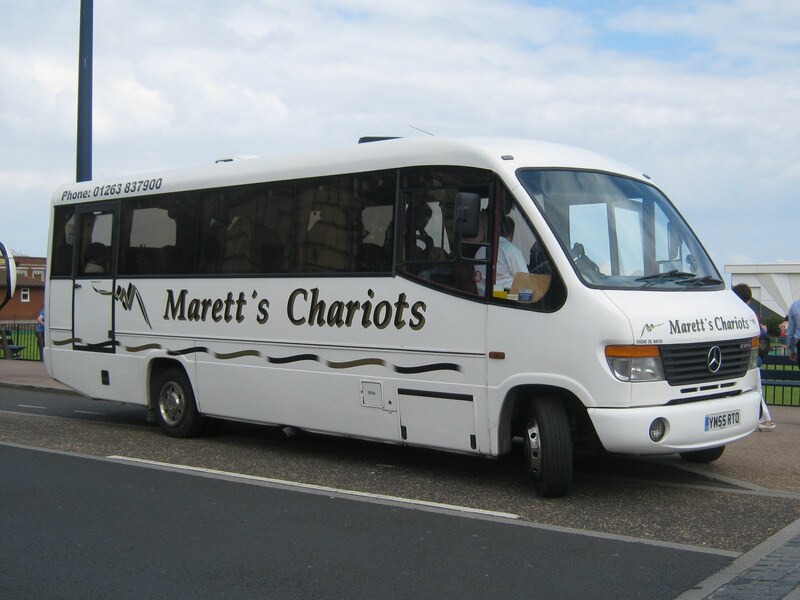 Swift Taxis began using its 37 seater Mercedes Vario AE07NZC on the 500 Seafront service on Saturday in response to requests for a service to be reintroduced. The open top service provided by McMaster Awaydays has not been reintroduced this year and First Eastern Counties has decided not to continue its service 3 beyond the town centre by terminating it at Market Gates. Friday's Great Yarmouth Mercury contained a report on the new 500 service which can be viewed here. 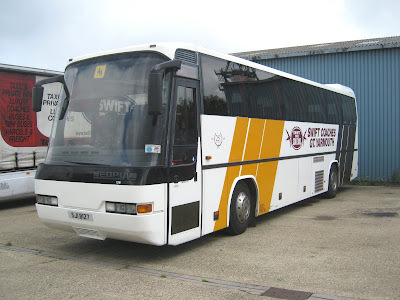 Meanwhile the timetable for the 500 is available on Swift Taxis website. There has been a further update on the movements of some of Caister Road's Darts with the news that 43469 has transferred to Lowestoft on loan. Others have been less fortunate, however. After only a comparatively short period of withdrawl (compared to the tri-axles!) 43437 (P434NEX) was taken for scrap by Erith Commercials last Friday with sister 43447 (P447NEX) scheduled to go the same way tomorrow (Monday). Meanwhile earlier escapee 42445 (P445TCV) remains withdrawn dumped in the rear yard. On a more positive note, the last tri-axle there (30097 K481EUX) also left on Friday following collection by a private buyer from Essex. Let's hope its not for scrap! A further loan to Lowestoft is Volvo B10BLE 66168 (W368EOW). 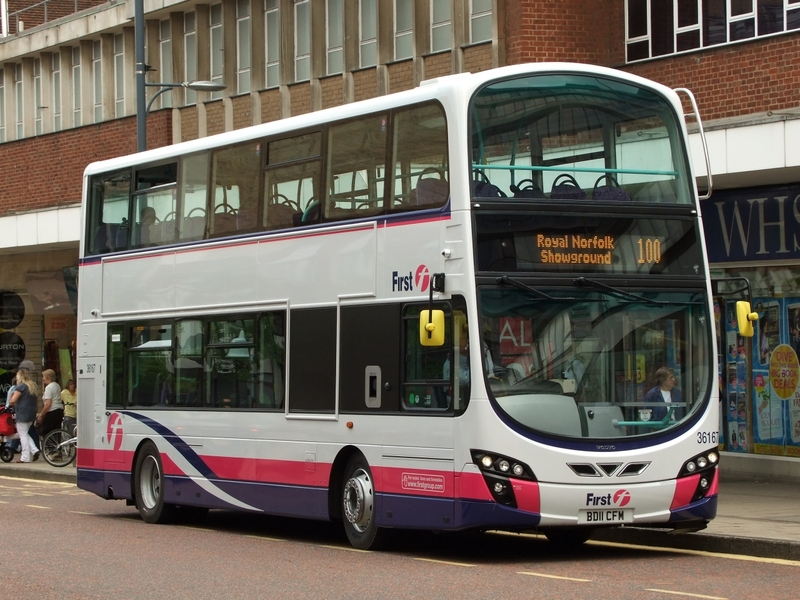 The new Wright Eclipse Gemini 2 bodied Volvo B9TL's entered service on Norwich city routes 25/35 from Monday last (22nd July). With a trip to Norwich this afternoon I had the opportunity to photograph some of them and a couple of pictures are shown below with more appearing on my Flickr site in due course. After some confusion over the identity of the inward transfer of one of Norwich's Darts to Great Yarmouth's Caister Road depot, Grahame can at last confirm it was 43487 (R687DPW). I was fortunate in noting it on the service 4 on Wednesday afternoon at Market Gates and, as it was not one of the regulars, I took a photo of her enroute to Barrack Estate. However, I was unfortunate in going back home on her on the service 2 to the James Paget Hospital. A bit of a rattler especially when idle! Today was market day and this afternoon was quite a busy one coach-wise for Great Yarmouth. Beach Coach Station was occupied by eighteen coaches at 14.00. They included two representatives from Shearings - 218 (BF10VCL) and 217 (BF10VCK) and one from National Holidays (NH05CDH). Meanwhile, near Britannia Pier at least six coaches loaded/unloaded their passengers in the coach lay-by during a fifteen minute period on Great Yarmouth's seafront. 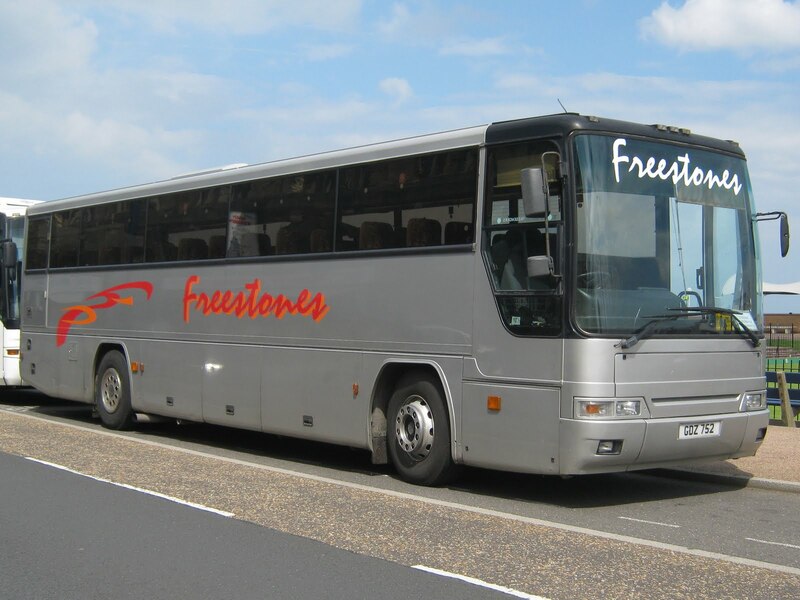 The four local vehicles were from Freestones Coaches of Beetley (GDZ752 (above) and GDZ540), Smiths Coaches of Blofield (BV55 UES) and Maretts Chariots of Aylmerton (YM55RTO) shown below. Following Tuesday's posting, Grahame informs me that tri-axle 30098 (K482EUX) was taken on Monday by Erith Commercials for scrap using a hired low loader. 30097 remains but for how long? 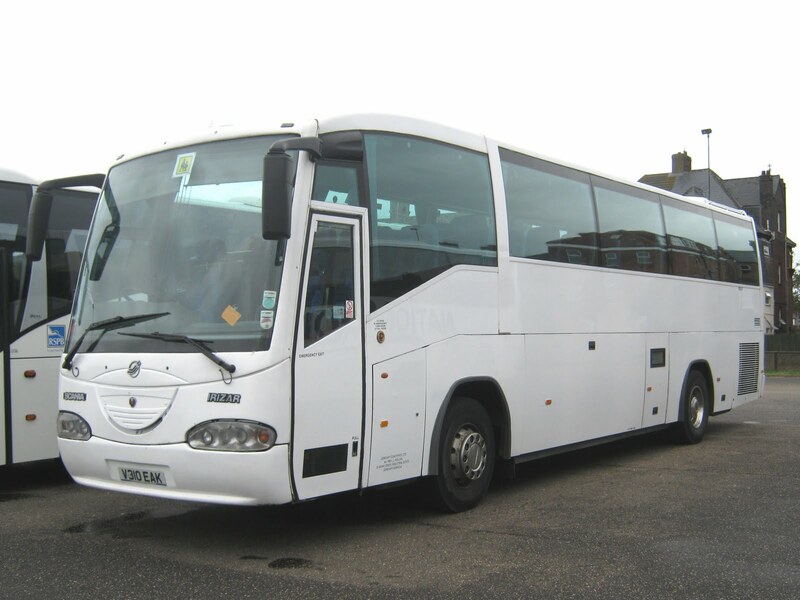 Another long term resident Volvo B10M 20129 (P769XHS) was collected on Tuesday as well. She was always parked on the ramp beside the Harley Road wooden fence and mostly hidden from view. Further to the previous posting, it has been confirmed that Dart 43437 (P437NEX) is parked next to 30097, whilst the other withdrawn example (43447 (P447NEX)) is located inside the depot close to the front doors. As previously stated Dart 42445 (P445TCV) is also dumped in the rear yard. On the active front Olympian 34112 (W432CWX) with Darts 43434 (P434NEX) and 43469 (R469CAH) are all currently on loan to Lowestoft. In return President 32211 (LT52WTU) has been loaned to Great Yarmouth from Lowestoft. Having previously posted about the removal of some of First's tri-axles from the rear yard of Great Yarmouth's Caister Road depot, I made a point of calling in to see what was left. I was surprised to see just one sole remaining example, 30097 (K481EUX). Keeping her company was a withdrawn Dart 43437 (P437NEX). Also present in the rear yard was 42445 (P445TCV) - it appears her escape was short lived! 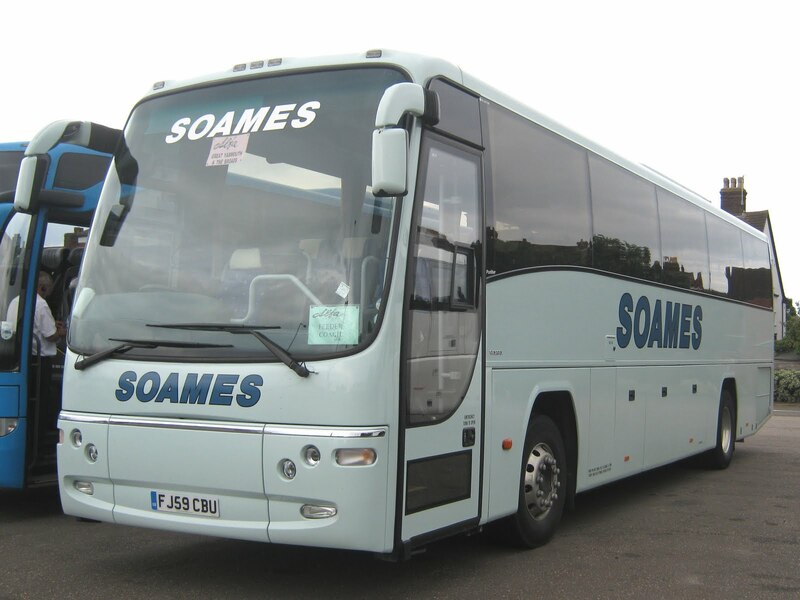 Ipswich based Soames' Volvo (FJ59CBU) was at Great Yarmouth's Beach Coach Station this afternoon. She was acting as a feeder coach for Alfa Travel. 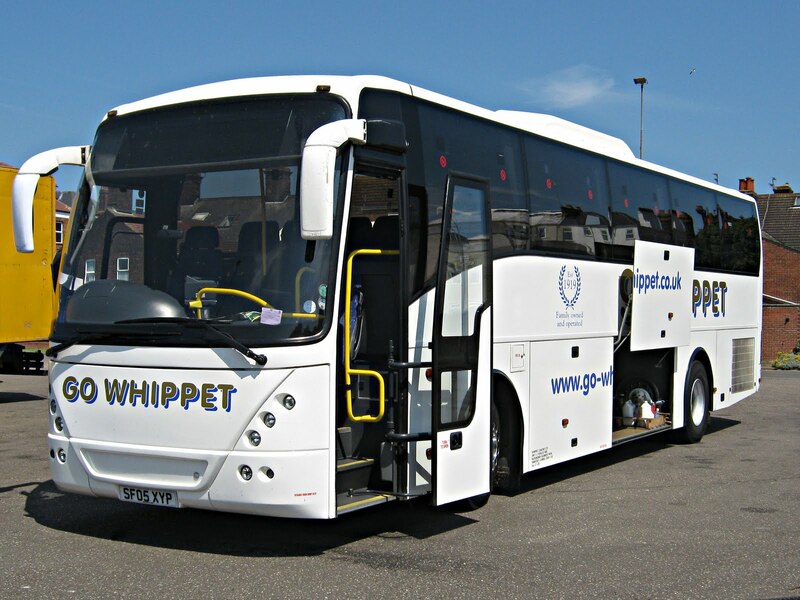 Also there was Whippet's Volvo B12 (SF05XYP) having arrived on the Coastal Service - her destination screen confirmed this! I wasn't aware that she had a destination display as I had not seen it in use before. 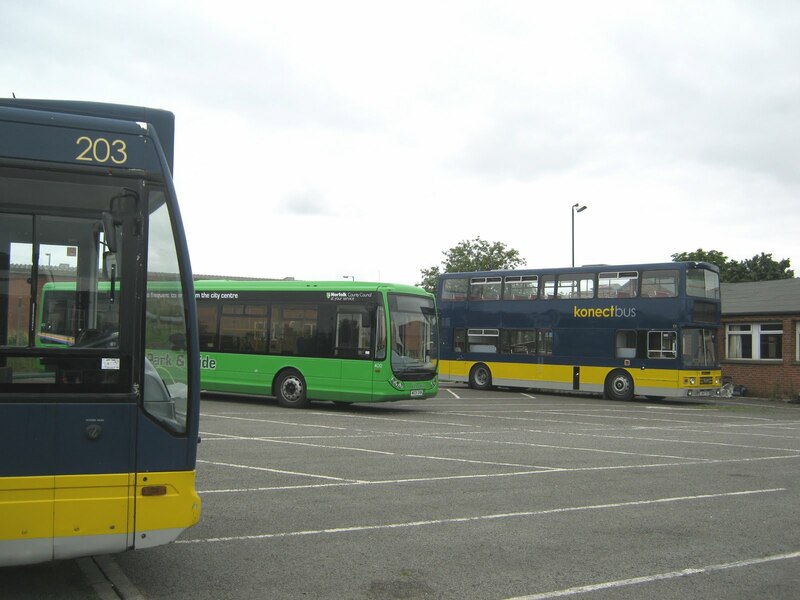 Regular correspondent Grahame Bessey has provided an update on First Eastern Counties operations at Great Yarmouth's Caister Road depot. Another Dart, 42445 (P445TCV), has been withdrawn at Lowestoft and sent to Great Yarmouth for storage. However, it has subsequently been reinstated for further use at Great Yarmouth until August! After some time languishing at the rear of the depot, there has been some activity regarding the Leyland Olympian Triaxles. Erith Commercials of Dartford, Kent had taken 30104 (K488EUX) for scrap earlier today with 30098 (K482EUX) and 30100 (K485EUX) following tomorrow. Routemaster RML 39623 (NML623E) has been repainted in London Red, having previously been in Flying Banana livery. 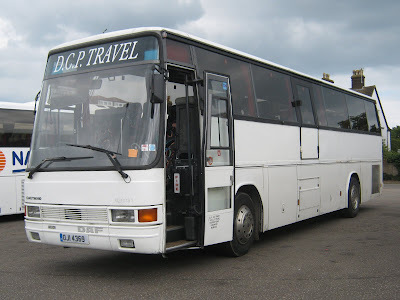 After my visit to Dereham (see previous post) I dropped by Beach Coach Station late yesterday afternoon and found 22 vehicles there. Two similarly registered Shearings coaches were there - 539 (MX03AEV) and 616 (MX04AEV) (shown below). 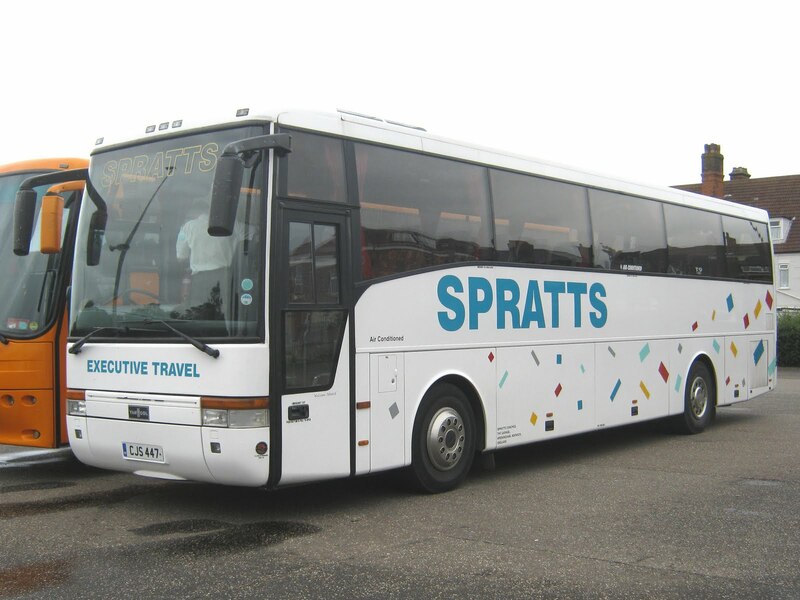 A second Spratts vehicle in a week was also seen there in the form of CJS 447, a Van Hool bodied Scania. 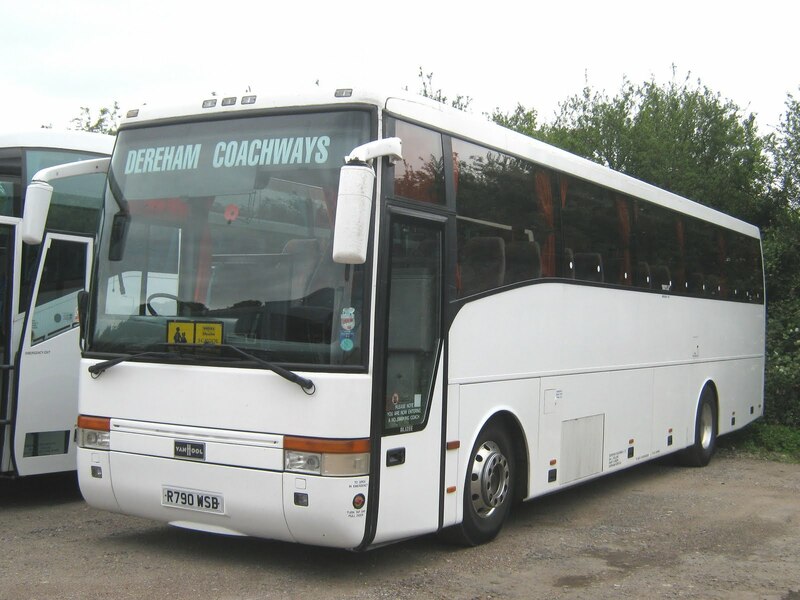 For the second time in the day, Dereham Coachways Scania Irizar V310EAK was noted having been seen at its home depot in Dereham that morning. Whilst the weather was dull in Dereham today, the day's sightings were certainly anything but! The main reason for the trip to this Norfolk market town, was to view and photograph the newly restored Great Western Railway 'King' No 6023 King Edward II locomotive. Hope the bus enthusiast community will excuse me for providing a picture here. 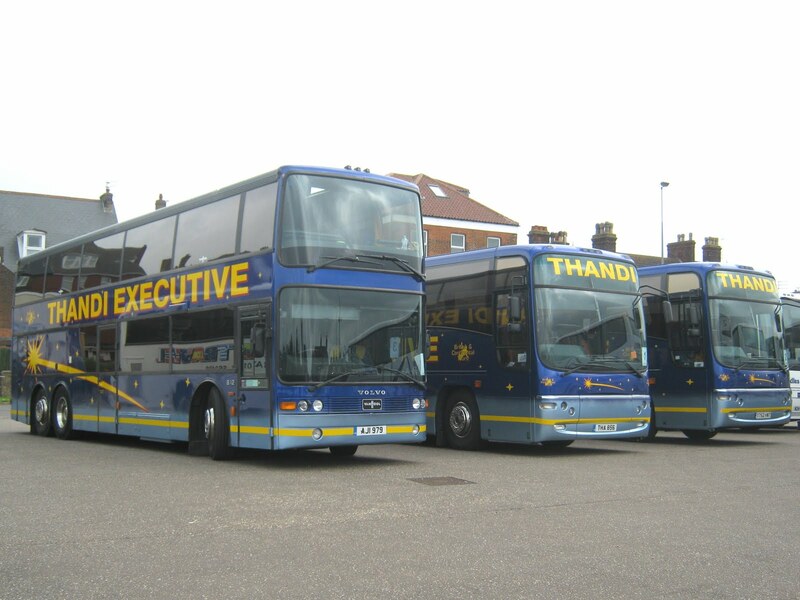 Back to the buses then and the opportunity was taken to visit some of the major operators in the Dereham area. First up was Dereham Coachways, where I received a warm and friendly reception from an almost apologetic staff for most of the vehicles being out! 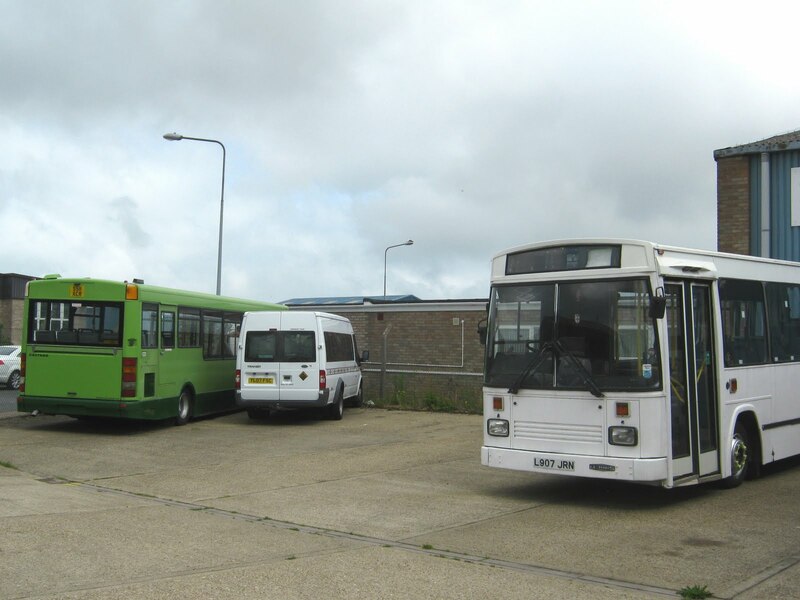 Present in the yard were Scania Irizar V310EAK (seen again later at Beach Coach Station in Great Yarmouth), Van Hool bodied Volvo B10M R790WSB (below) and Toyota Coaster R687ACL. 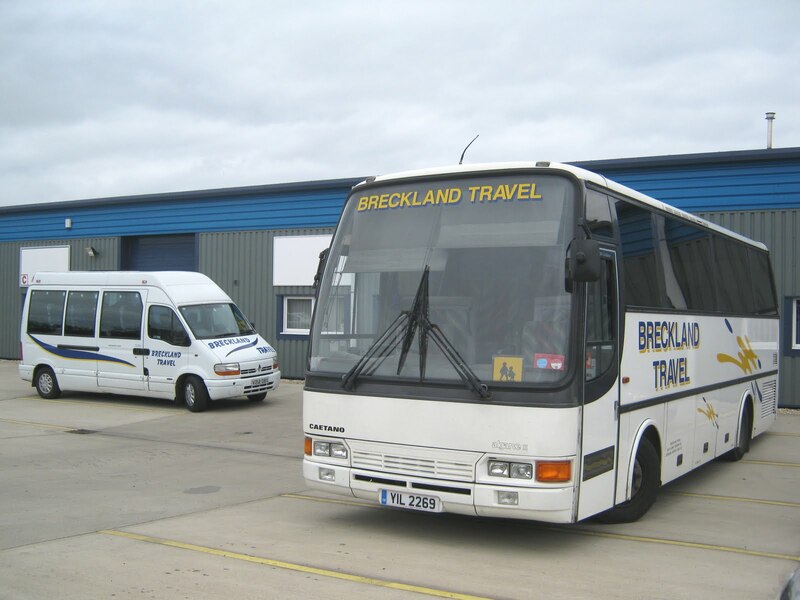 In the workshops was Volvo B10M K272ABV plus the yard also contained XFK305, acquired from Breckland Travel at the beginning of the year. She was not available for service. 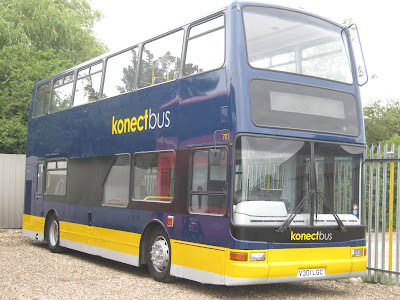 The 'new' President's were previously with Go Ahead London and are all now in Konectbus livery. Other bus related pictures taken on the day have been uploaded to my Flickr site. 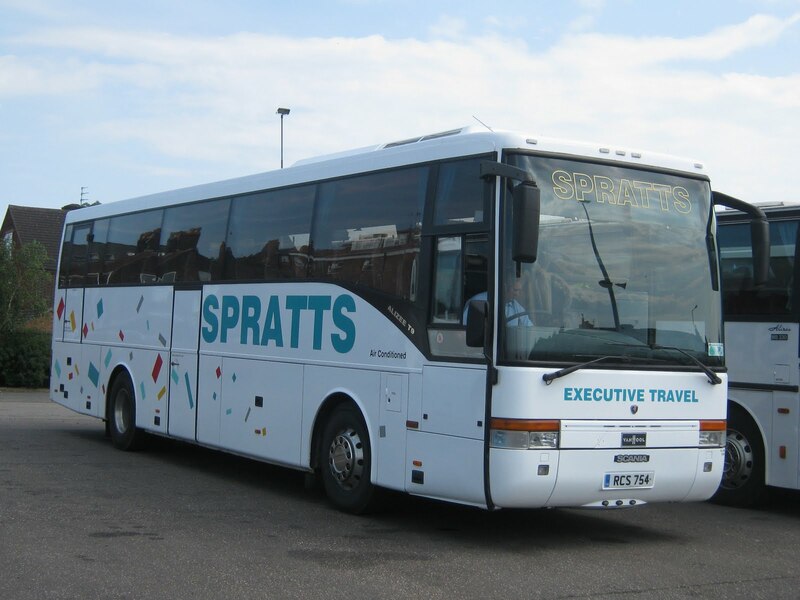 A coach from each of the Spratts and Shearings fleets was noted at Beach Coach Station this afternoon. The former was RCS754, a Van Hool bodied Scania, which was subsequently sighted outside the Sealife Centre on Marine Parade returning home with its young passengers and helpers from an outing to the seaside. 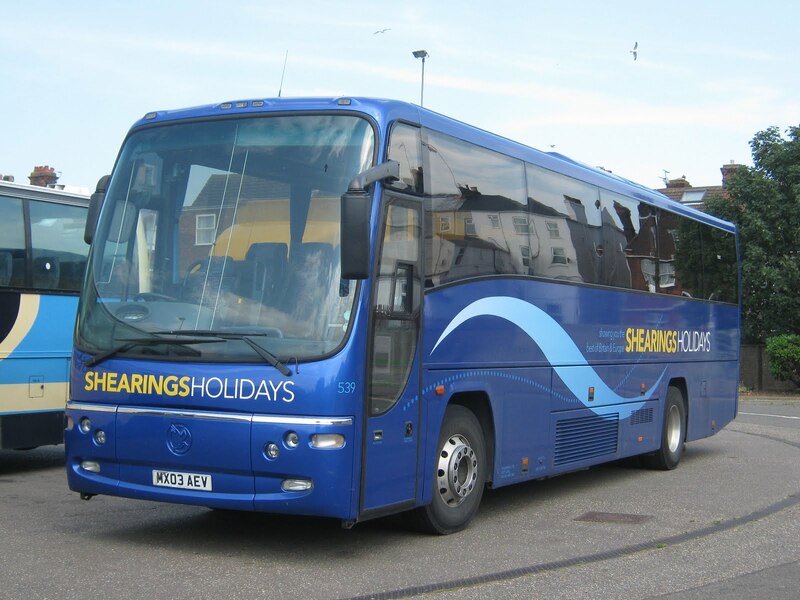 The Shearings vehicle was Volvo B12M 539 (MX03AEV) on a Great Yarmouth and Norfolk Broads tour. Also present was National Holidays Volvo B12M YJ03VNC also on a Great Yarmouth and Norfolk Broads tour. Coach Services Scania Irizar YN08UAK was one of only four coaches at Beach Coach Station early yesterday afternoon. She is photographed there just before a heavy shower arrived! Returning to Market Gates First Eastern Counties Gemini 37568 (AU58ECJ) was on the X1 13.55 Lowestoft to Peterborough service and left on time. 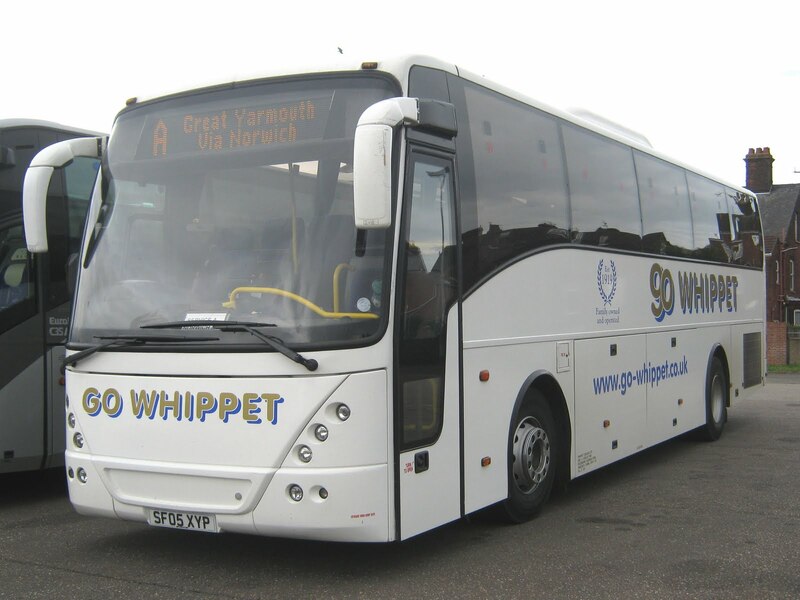 Local independent Swift Taxis has published the timetable for its new Great Yarmouth Seafront bus service. 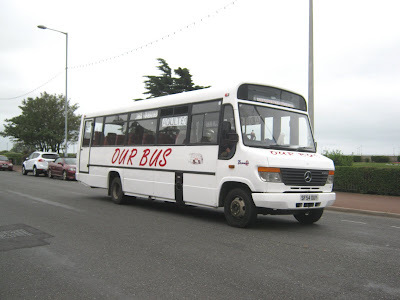 The timetable shows a photograph of their Mercedes Benz Vario AE07NZC which it is assumed will be the vehicle operating the service. 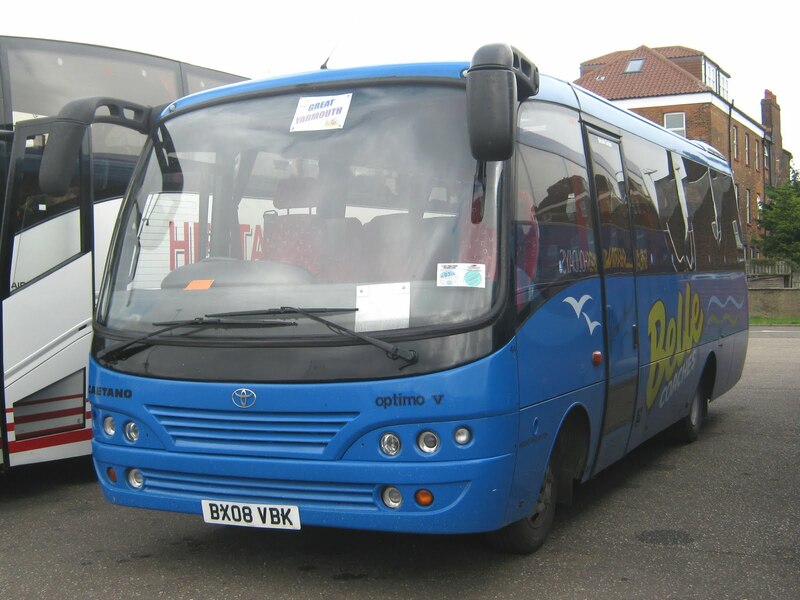 The route links the Vauxhall and Seashore holiday parks with the town centre and seafront attractions. 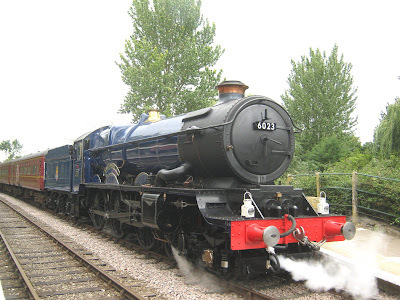 Numbered 500, the Seafront service commences on 24th July. 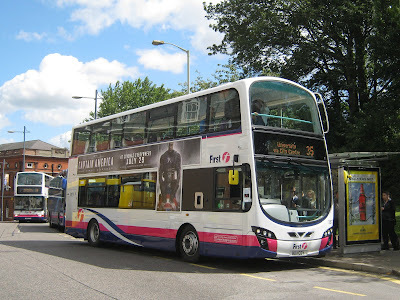 The above picture shows 106 Swift Falcon (AE07NZC) in Regent Road operating the 600 service on the 21st July 2009. Swift are also advertising three of their buses and coaches for sale on their website They include two darts (1994 built L907JRN and 1999 built S511XCR) plus 1995 Scania Izair M26XSC. The 1999 Dart was, until recently, languishing at the back of Swift's Southtown Road compound. After subsequently moving to the other side of the site it has since disappeared! 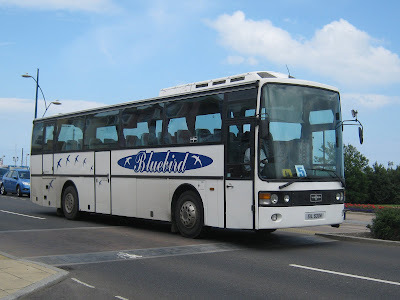 As if to reinforce my post of yesterday, only six vehicles were sighted at Beach Coach Station inluding regular visitors Shearings 217 BF10VCK and a Whippet Volvo B10M. As the TV weatherman suggested that I 'should make the most of the last warm sunny day before the rain moves in from the west', I had a brisk walk in the sunshine along the town's seafront. As I ventured nearer to the Sealife Centre I saw what I thought was an outline of a dark blue decker parked up. 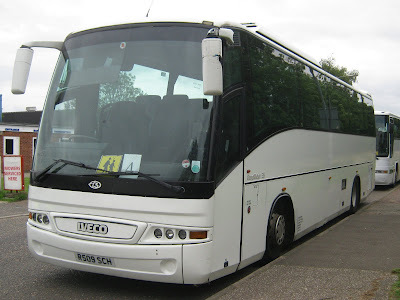 A closer inspection revealed it to be Volvo Ailsa/Northern Counties SRC109X. Legal lettering showed it to be owned by Norwich School (the former Grammar School) of The Close in Norwich. The vehicle was new to Derby City Transport as their 109 in February 1982. (Source: Bus Lists on the Web). A surprising find! Yesterday's visit to Great Yarmouth's Beach Coach Station didn't reveal much either, apart from Whippet's Volvo B12B SF05XYP on their Coastal Service. This is normally worked by one of the Volvo B10Ms from the J6XXLGA batch. This year's Royal Norfolk Show was held at the Norfolk Showground on the 29th and 30th of June. 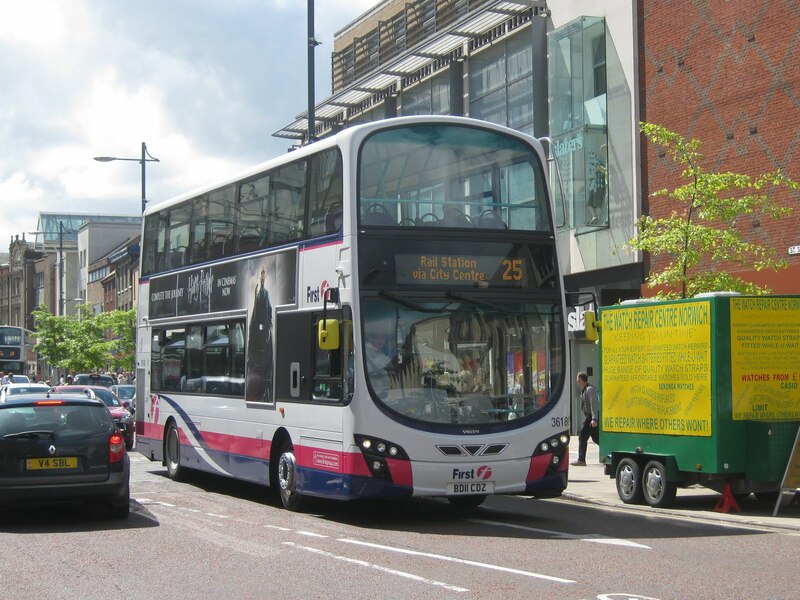 As is usual with the event, First Eastern Counties operated their service 100 between the city centre and the venue.